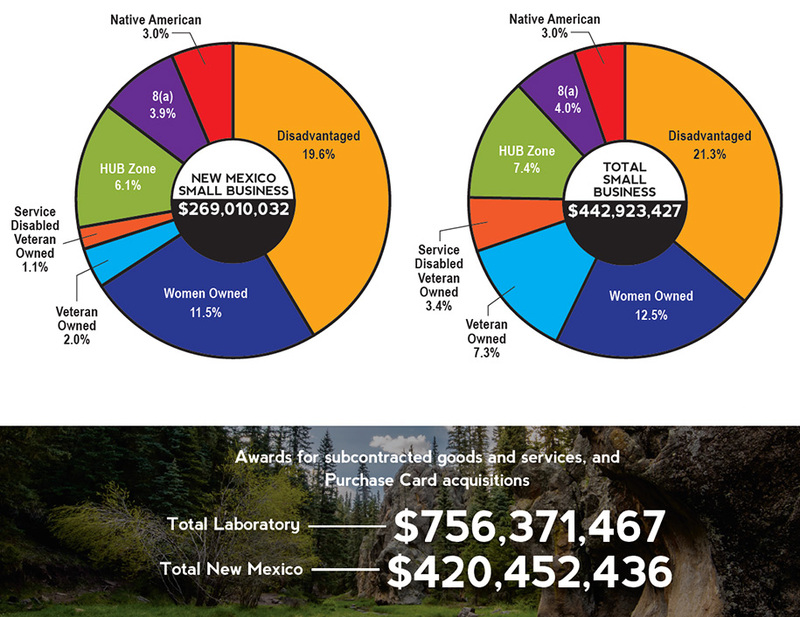 The Laboratory’s average annual total impact on economic output across New Mexico from 2015 to 2017 was $3.1 billion, according to preliminary independent research from the University of New Mexico’s Bureau of Business & Economic Research. 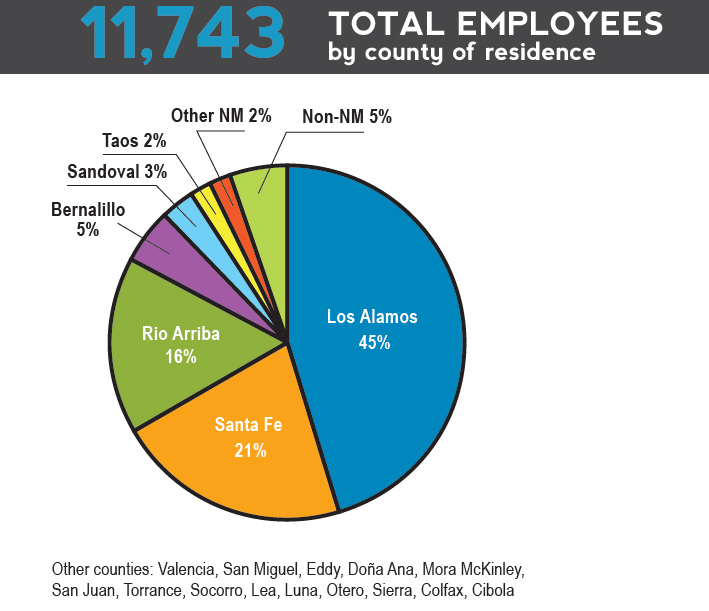 Through our relations and partnerships across government agencies, laboratories, universities, and industry, we deliver the best possible science and technology results for the nation while making a positive impact on our New Mexico communities and economy. Note: The data have been derived from the Laboratory’s financial system for payments made in fiscal year 2018 (October 1, 2017, through September 30, 2018), unless otherwise noted. 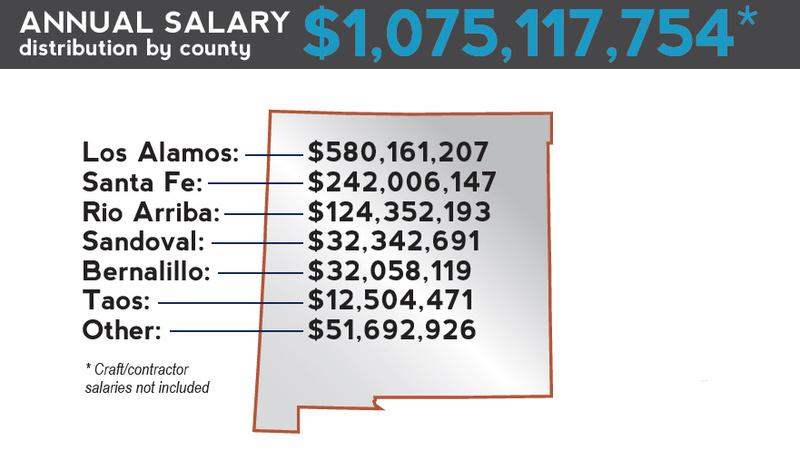 Payments made to suppliers as a result of Laboratory procurements help drive economic growth in New Mexico and the nation. The Laboratory invests and partners in economic development initiatives and programs that help stimulate business growth, create jobs, and strengthen our communities. Surveys, conducted by a third-party contractor, were performed with participating clients in each program six months to one year after project completion. This information is based on CY 2017 data. 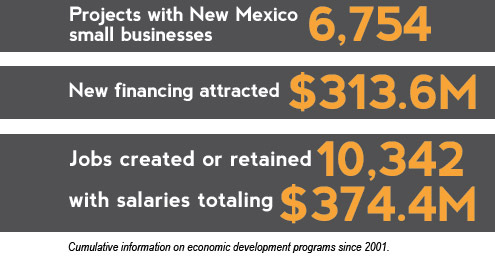 The New Mexico Small Business Assistance Program (NMSBA) assists for-profit small businesses in New Mexico with access to subject matter experts and cutting-edge technologies at Los Alamos and Sandia National Laboratories. * Surveys, conducted by a third-party contractor, were performed with participating clients in each program six months to one year after project completion. This information is based on CY 2017 data.